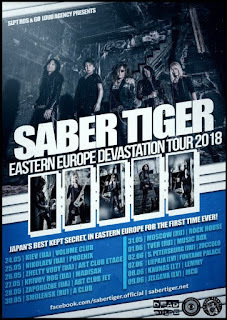 Classic Japanese metalists Saber Tiger will embark on their first full tour of Eastern Europe in May and June. The group will be taking the Devastation Tour for 12 shows touching base in Russia, Ukraine, Latvia and Lithuania. 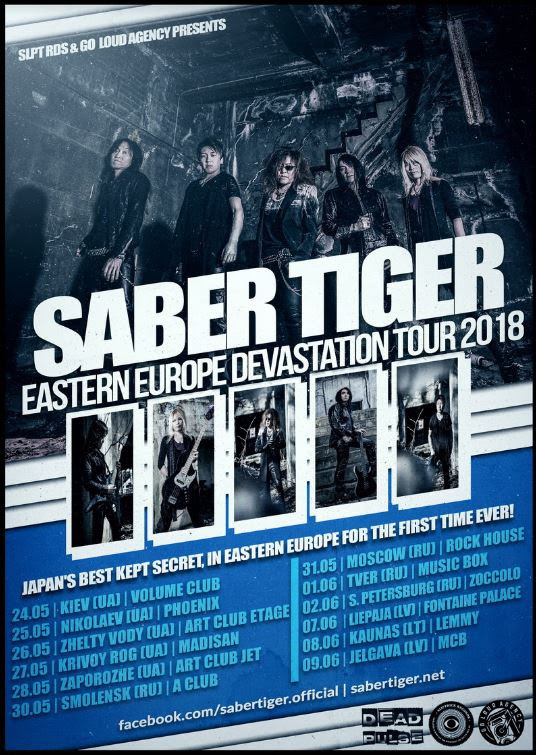 This is a great chance for European audiences to see one of the best Asian heavy metal bands around with a set based around their latest, and possibly best album, "Bystander Effect" out now. Check out the list of dates below.